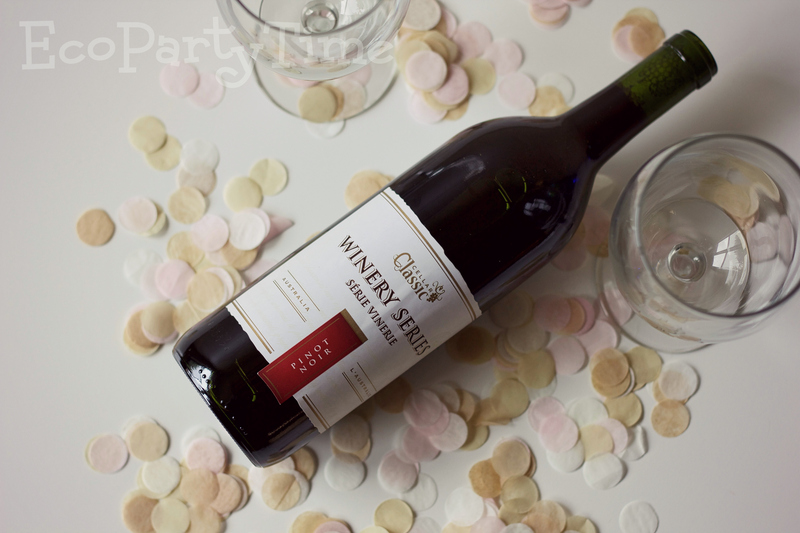 Sometimes you just need to have a sophisticated Wine & Cheese Night with friends! 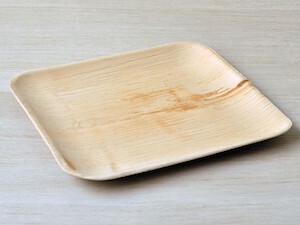 Just because you’re using disposable products doesn’t mean your set up has to look…cheesy (no pun intended). 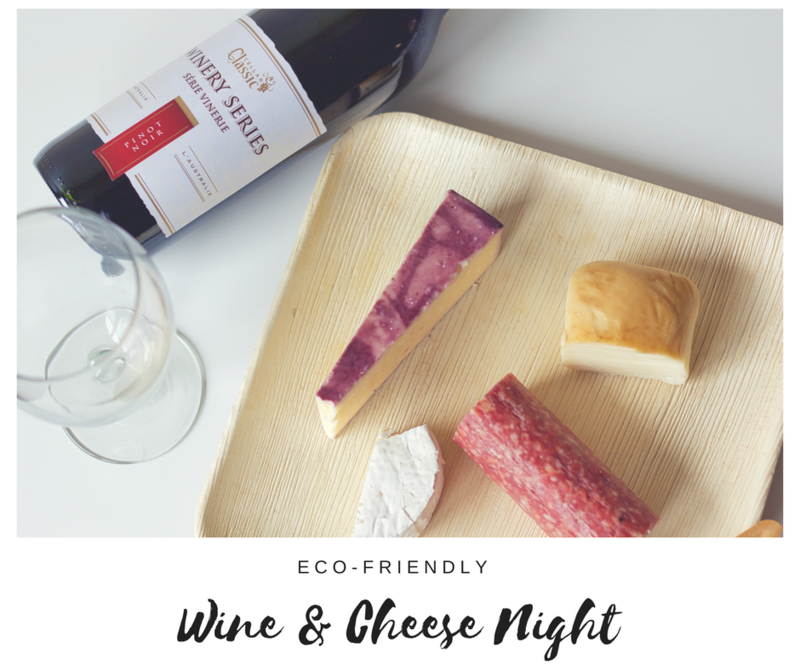 I’m going to show you how to use Ecopartytime’s biodegradable products in a way that’ll take your Wine & Cheese Night to the next level. 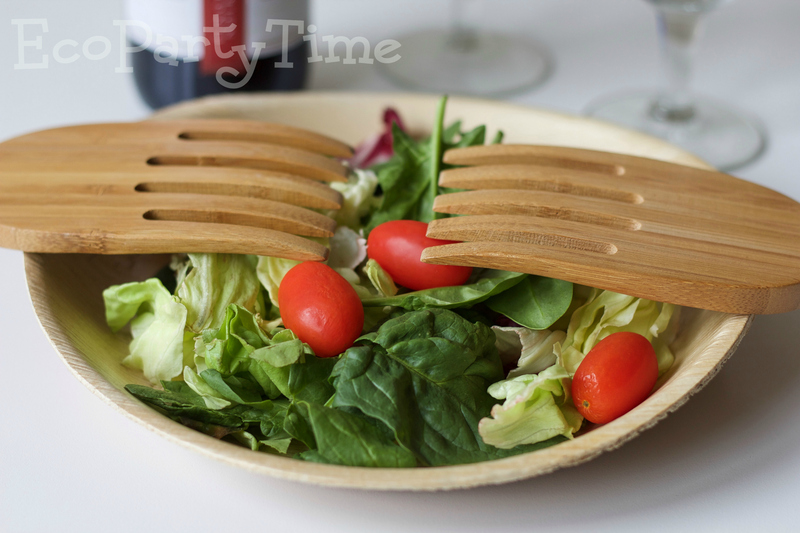 One of the first products I highly recommend is Ecopartytime’s Palm Leaf Plates. 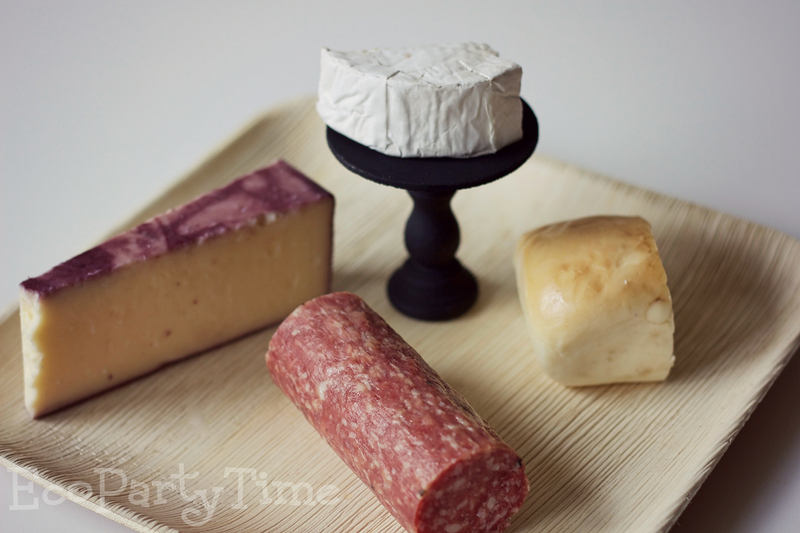 These come in big sizes to display your fine cheeses and also in smaller sizes for your guests to load up. 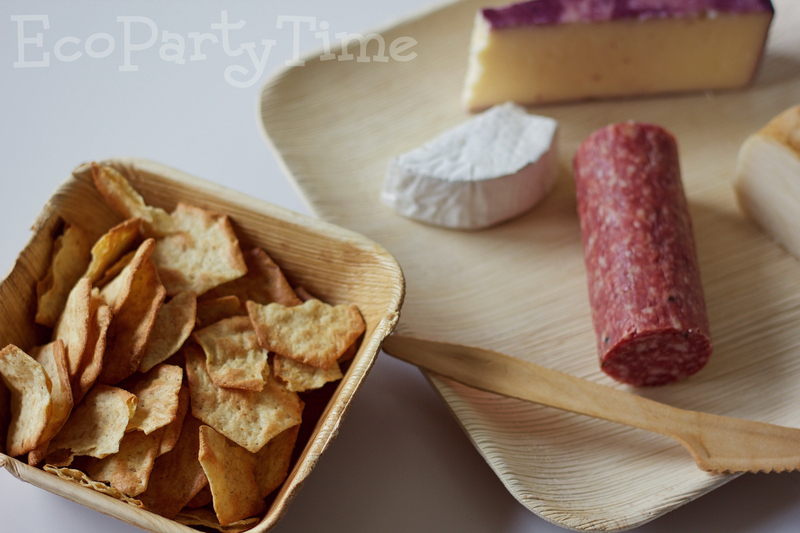 You can also use the Palm Leaf Bowls for any crackers or bread you plan to set out. 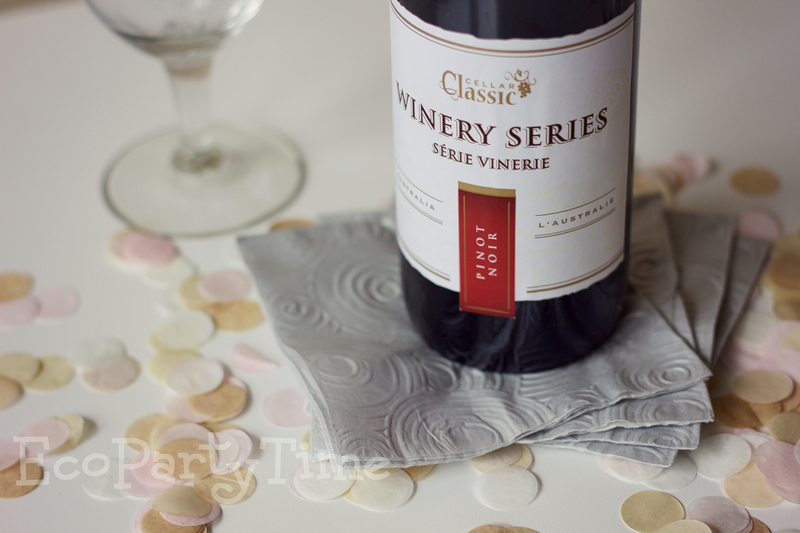 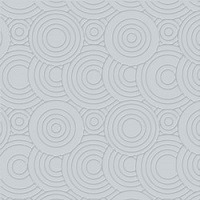 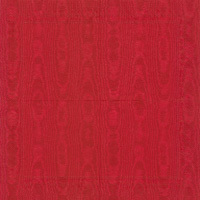 Use Ecopartytime’s Embossed Silver Napkins and Blushing Paper Confetti to make your party look particularly fancy! 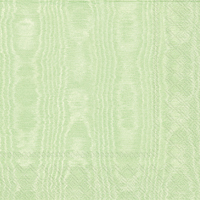 I set out these napkins for guests and I also arranged them as decoration with the confetti. 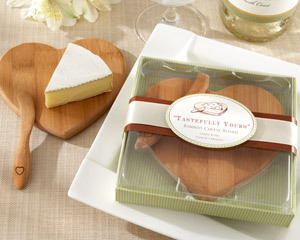 If you plan on this Wine & Cheese Night being a Birthday or Anniversary celebration then I recommend giving these lovely “Tastefully Yours” Heart-Shaped Bamboo Cheese Boards. 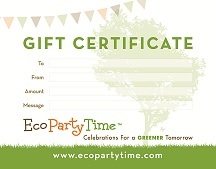 They are great gifts that your guests can use again and again. 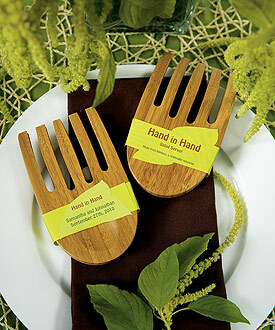 Another great option is Ecopartytime’s “Hand in Hand” Bamboo Servers. 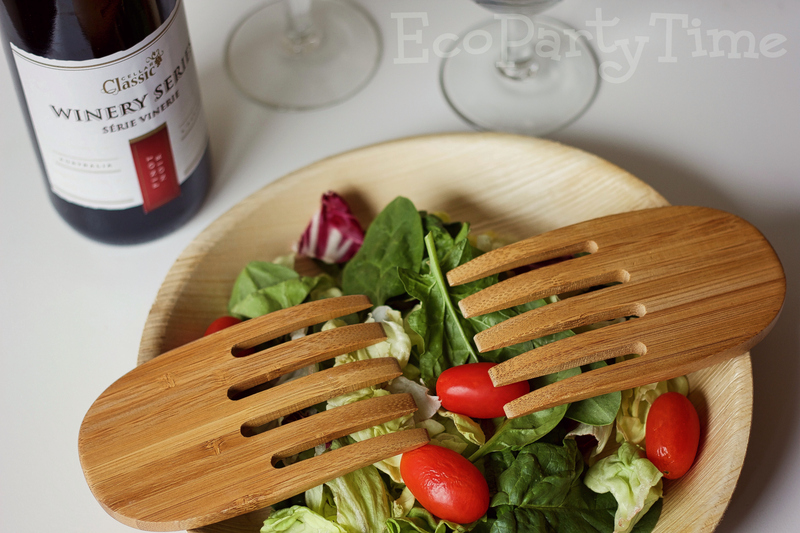 You can also keep a pair to serve delicious salad with your wine and cheese. 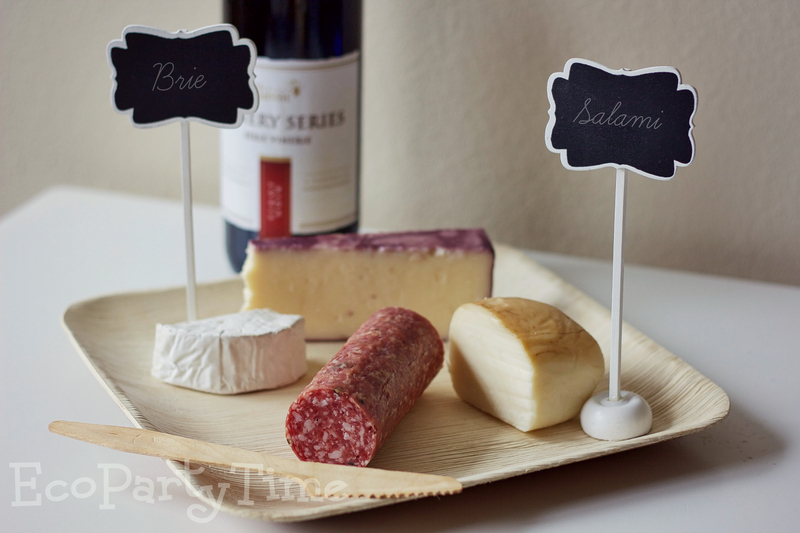 Let your guests know what all your cheeses are with Ecopartytime’s Framed Chalkboard Place Cards! 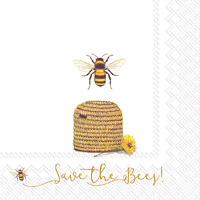 Though these are often used as name cards at tables, I love to use them for food and drinks. 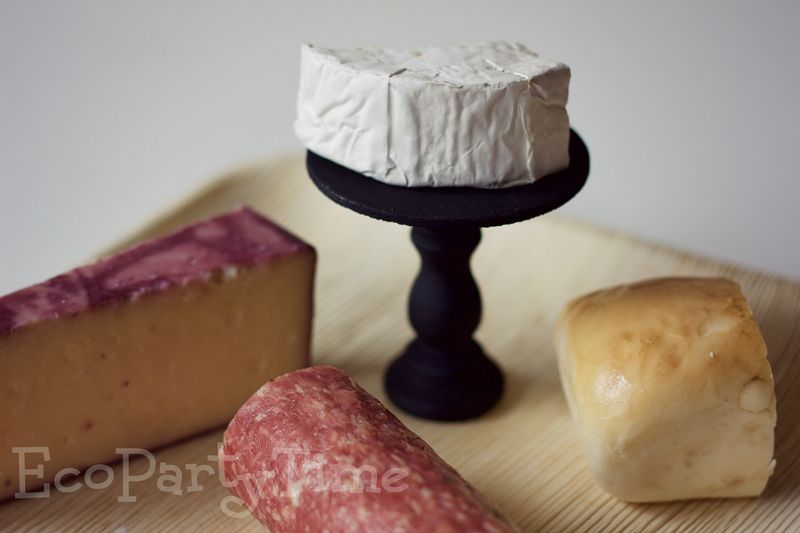 Plus they’ll fit right in for your classy Wine & Cheese Night. 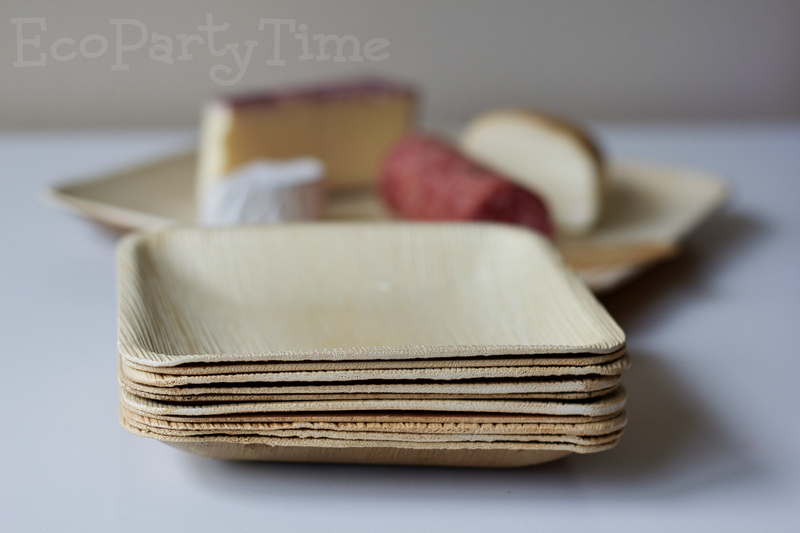 If you end up serving some extra special cheese then you should consider getting a couple of Mini Wooden Cupcake Stands from Ecopartytime. 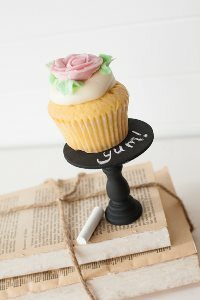 Now I know what you’re thinking - those are for cupcakes! 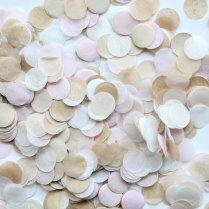 Well yes they are. 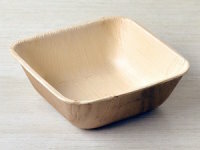 But I’m all about alternative uses for things. 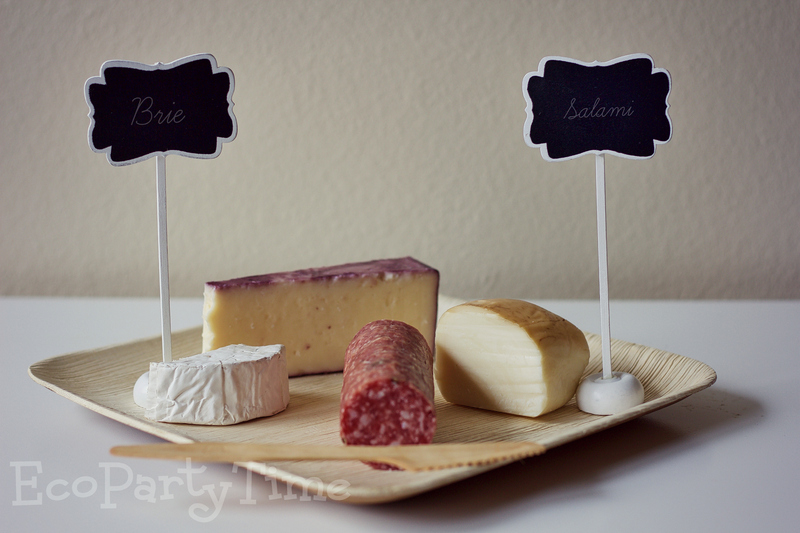 Get a little creative and display your best cheeses with the Chalkboard Stands! 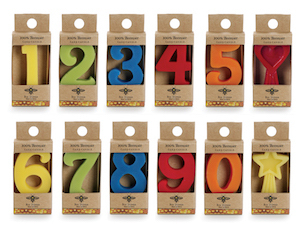 Plus they’ll match the Chalkboard Place Cards. 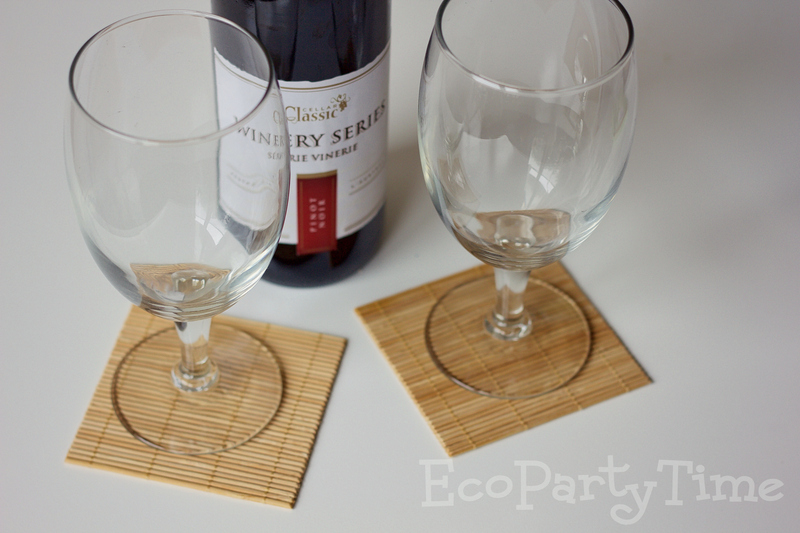 If your worried about your tables during the Wine & Cheese Night then make sure to order Ecopartytime's Natural Bamboo Coasters. 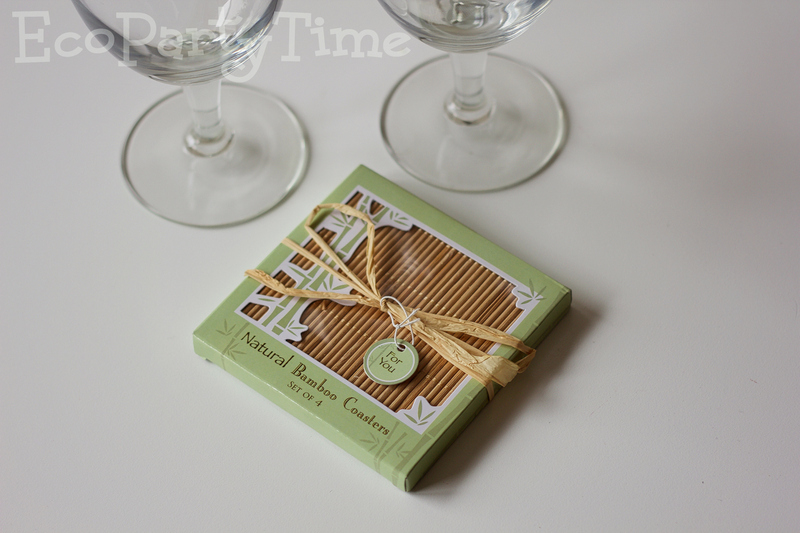 These can also be given as favors to all your guests!